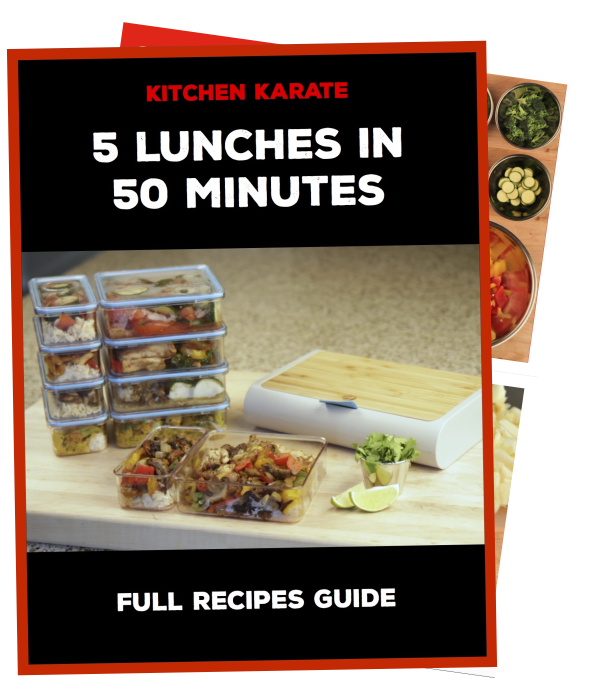 Cook and pack 5 different meals in 50 minutes! In this recipe we show you chicken and veggies five ways - Italian, Mexican, Chinese, French, and Indian. Grab the companion guide and make this delicious flight of lunches for your next work week. Enjoy! Don't be that dude replaying the video a dozen times to see how it's done. My name is Casey Moulton, husband, father, and busy office worker with side hustle (this). Time is scarce. So I cook fast. 15 meals in 2 hours fast. This is the first video and guide I’ve made to show just how quickly you can make lunches for your busy work week. If a lot of people download it I’ll make more. Deal? Good. About two years ago the Get Prepd team set out to make the best lunchbox ever. And this year they delivered. I’ve been testing it and using it every week since getting my hands on one. It’s legit. And yes, I’m the envy of the office. So I got inspired to start making videos and guides for lunch prep. This one - 5 Lunches in 50 Minutes - is the first in what will (hopefully) be a series. If you download the guide, I'll make more of them! Btw- The Get Prepd guys are not paying me to endorse this. We are just cross promoting. Can you say “synergy”? Me neither. Hate that word.